We’re offering a first glimpse of an initiative from Bandcamp that aims to address these challenges. Our new Vinyl Pressing Services streamlines the financing, production, and fulfillment of vinyl records. With no up-front investment, an artist or label can create a vinyl campaign and start taking orders almost immediately. Once they reach their minimum goal, we press their records and ship them to their fans. This a great concept and we believe this will benefit many artists looking for a way to satisfy fans needs in an ever-changing music environment. Bandcamp is an American online music company founded in 2008 by former Oddpost co-founder Ethan Diamond and programmers Shawn Grunberger, Joe Holt and Neal Tucker, headquartered in Oakland, California. Artists and labels upload music to Bandcamp and control how they sell it, setting their own prices, offering fans the option to pay more (which they do 40% of the time and selling merchandise. Fans can download their purchases or stream their music on the Bandcamp app. They can also send purchased music as a gift, view lyrics, and save individual songs or albums to a wish list. Uploading music to Bandcamp is free, and the company takes a 15% cut of sales made from their website (in addition to payment processing fees), which drops to 10% after an artist’s sales surpass $5000. Downloads are offered both in lossy formats as MP3 (320k or V0), AAC and Ogg Vorbis and in lossless formats as FLAC, ALAC, WAV, and AIFF. In addition to digital downloads, artists may offer the purchase of their music on physical media such as CD or vinyl. We first heard of other start-ups going back some years offering this same type of service, such Qrates, and French startup Diggers. Fortune Magazine Vinyl sales grew by just shy of 12% from 8.6 to 9.7 million sales, while cassette sales grew by almost 19% from 99,400 to 118,200 copies sold in the US, The Verge reported. The Bandcamp blog Create Vinyl with Bandcamp. reported that sales of vinyl records on Bandcamp have grown 600% in the last five years, and every month another 3,500 unique vinyl albums are added to the site. Read the full story at Create Vinyl with Bandcamp. I am more than happy to strongly recommend this great festival of adventurous progressive music – SEAPROG. The Festival’s 6th edition will be held in the great city of Seattle on June 7-9, 2019. If You are local in the state of Washington, or in neighboring Oregon or British Columbia, You should consider coming, and if You are more adventurous and live anywhere in the USA, Canada, or elsewhere in the world, please consider coming to the great city of Seattle for great food, celebrated microbreweries, world-famous coffee roasters, the great company of similarly minded old and new friends in music, and above all, for some excellent new music. 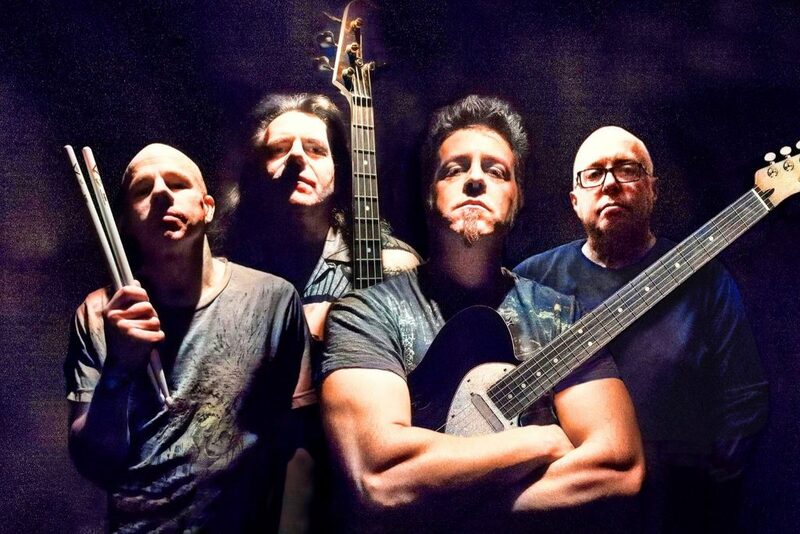 And two moonjunista artists will be taking the stage at the festival: MARBIN (from Chicago)and Stick Men’s MARKUS REUTER (from Berlin, Germany who is performing in the avant prog duo with former King Crimson member, TREY GUNN. Not to miss the 70’s Swedish prog legends TRETTIOARIGA KRIGET, the very talented JULIE SLICK of Adrian Belew Trio and her band ECHOTEST, another Chicago’s heavy weight DISTRICT 97, FARMHOUSE from Northern California, as well local Washington state bands THE SHEEN, DUST MICE, TROOT, MOON LETTERS, YESOD and IMMENSITY CRUMB. SEAPROG is run by two moonjunistas from Seattle, Dennis Rea and Jon Davis, as well as John Reagan, Joe Fischer, Dave McLelland, and Tom Prather, all longtime enthusiasts and ambassadors of the local progressive music cause. My old friend Dennis Rea has appeared on 6 albums on MoonJune Records: 3 albums with his band Moraine – Manifest Density, Metamorphic Rock, and Groundswell; the self-titled album from collective improv combo Iron Kim Style; and Dennis‘ solo album Views From Chicheng Precipice. He also guested on Seattle-based Zhongyu‘s self-titled album, and MJR is planning two other releases featuring Dennis: Moraine‘s next album, as well as Dennis‘ sophomore solo release on MoonJune, Giant Steppes. Jon Davis‘ band Zhongyu’s self-titled album was also released on MoonJune Records. 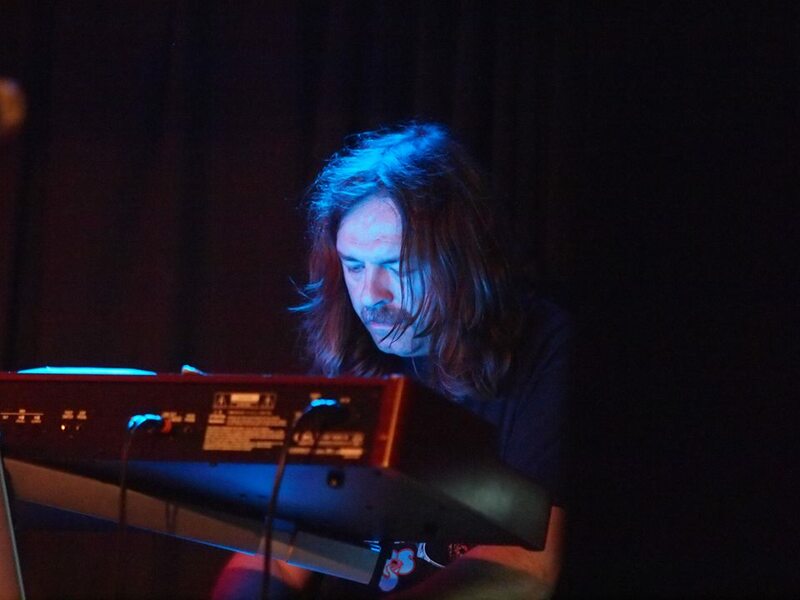 SEAPROG provides a public showcase for adventurous progressive musicians from the Pacific Northwest and beyond that honors the seriousness of their art. As the region’s only annual festival devoted to progressive rock music, SEAPROG serves an audience of keen enthusiasts whose tastes have been largely ignored by both the mainstream and alternative music industries and media alike. 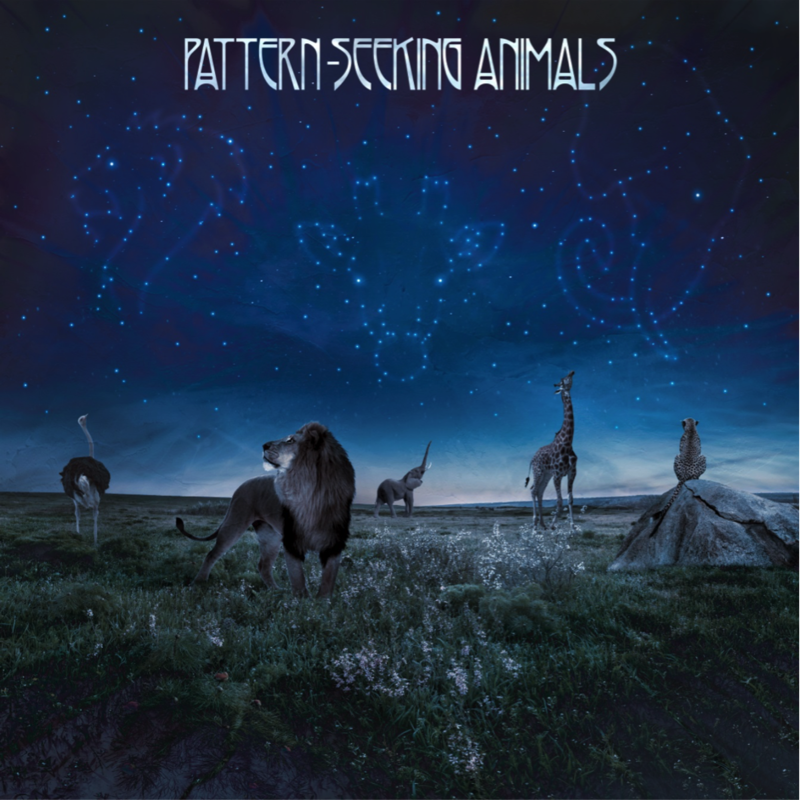 SEAPROG tilts decidedly toward the more adventurous reaches of the genre rather than long-established historical precedents – a bracing contrast to the ‘Golden Age’ nostalgia that’s overtaken the music in some quarters. This is not a value judgment; SEAPROG‘s organizers revere many of the ‘old school’ progressive bands as much as anyone, it’s just that there are already plenty of festivals devoted to that sort of thing, but very few focusing on exploratory progressive music of the here and now. SEAPROG is also unusual in its inclusivity, both musical (in terms of freely mingling influences) and social (in terms of gender and cultural representation among Seaprog performers). Operated as a nonprofit organization, Seaprog is and will remain a labor of love rather than a typical business venture. For more info on individual artists: http://seaprogfest.org/artist/index/2019.html$35 per each festival’s day, and $90 for all 3 days (a real bargain to see 12 great bands). And See You there at the SEAPROG! If You are unable to attend, your donations are more than welcome, any donation no matter how small, helps. SEAPROG has never been a for-profit enterprise, and our fiscal sponsorship with Shunpike cements our commitment to present the best music possible without consideration of commercial appeal. SEAPROG provides a prominent showcase for musicians working in a non-mainstream musical genre that has long been underrepresented in the Pacific Northwest. The festival’s focus is on the resurgent Northwest progressive-music community, augmented by some of the more adventurous national and international artists active in the genre today. Over five annual editions, Seaprog has presented more than 75 acts (comprising roughly 290 musicians) whose diverse approaches illustrate just how far progressive rock has evolved since its origins in the 1960s. SEAPROG benefits a regional audience of enthusiasts at an affordable price. The festival also benefits numerous regional musicians. SEAPROG is especially proud of the fact that SEAPROG’s roster of artists has shown significant representation from gender and ethnic communities; for example, fully 70% of main-stage acts presented by SEAPROG to date have been led by or featured female performers, in a genre that’s long been heavily tilted toward men. SEAPROG has no paid employees; 90% of our income from ticket and merchandise sales and donations goes directly to the festival, including paying for the bands and the venue, travel expenses, refreshments, and advertising and promotion. The other 10% goes to SEAPROG’s financial partner Shunpike. In 2018, 61% of SEAPROG’s operating funds came from ticket and merchandise sales, and 39% from tax-deductible donations. No donation is too small! Use the link below to make a donation of any amount – even $5, $10 or $25 will make a big difference in keeping the festival going for years to come. SEAPROG thanks you! 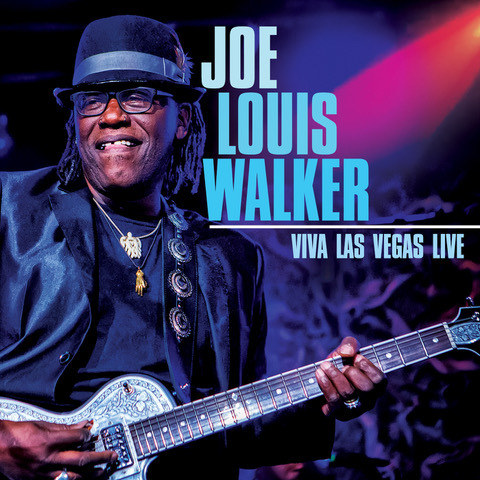 Los Angeles, CA – On May 10th, 2019, Cleopatra Entertainment – in association with Cleopatra Blues – will release a brand new concert film Viva Las Vegas Live from Grammy Award-nominated Blues legend Joe Louis Walker. Directed by Brent Backhus, this stunning 85-minute concert was captured in all its glory at the infamous Boulder Station Casino in Las Vegas, Nevada last summer during Walker’s 2018 U.S. tour. The Official release date for Storm Warning will be April 26th, 2019 however the is now available for pre-order in America via Andrew’s Bandcamp Store and in Europe via his own website. 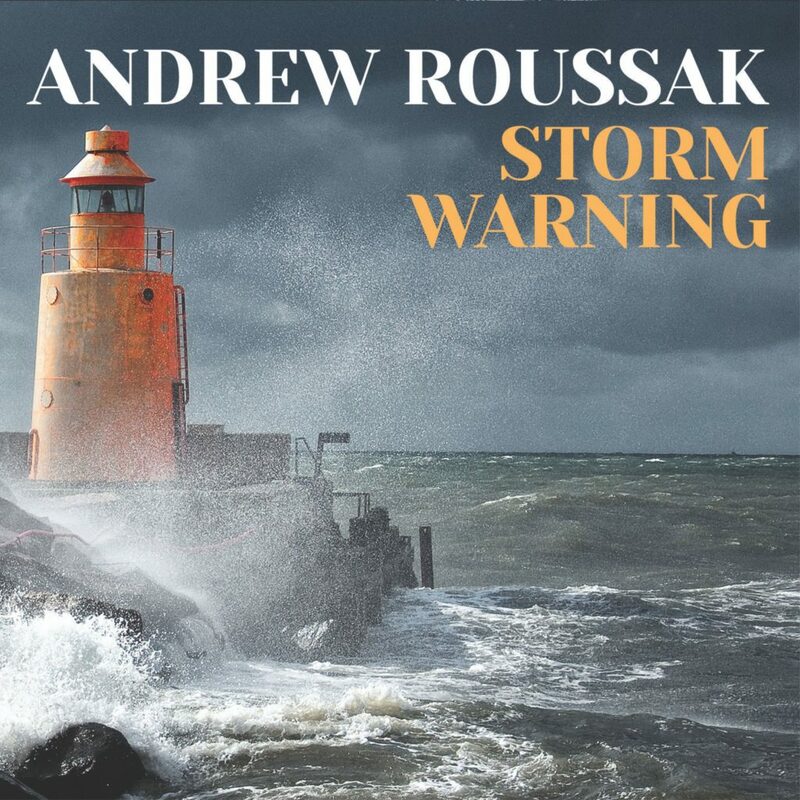 Storm Warning is Andrew Roussak’s new solo album and his first release since the highly acclaimed 2010 release of Blue Intermezzo. All compositions except “Can She Excuse My Wrongs” written, recorded, produced, mixed and mastered by Andrew Roussak. “Can She Excuse My Wrongs” composed by John Dowland (1563 – 1626) lyricists unknown.